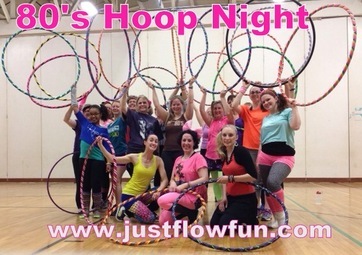 To assist in creating a unique and thriving community in Bristol, CT by creating a hoop-centric studio to hold classes and events for residents in a welcoming space where they can go to connect with friends, family and other residents, have fun, get fit in mind and body and expand their sense of self and community. The hoop is a never ending circle, to me, it's the ultimate representation of connectedness and my mission. It connects us with our childhood, it connects us with our bodies, it connects to our bodies. It can simultaneously create laughter, quiet the mind and bring us back to a time in life where distractions, worries and stress were virtually non-existent. When you step inside of a hula hoop and it begins to circle, the day to day junk that weighs heavy on you spins further and further away with each rotation. 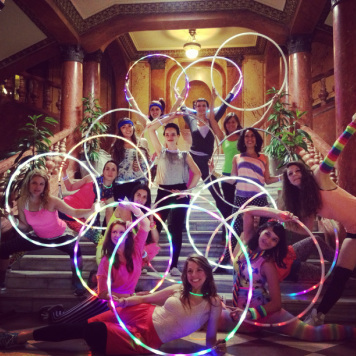 If I'm having a bad day and feeling disconnected, all I need to do is crank up the music and dance inside of my hula hoop for a song or two and I'm back to smiling and feeling connected again. 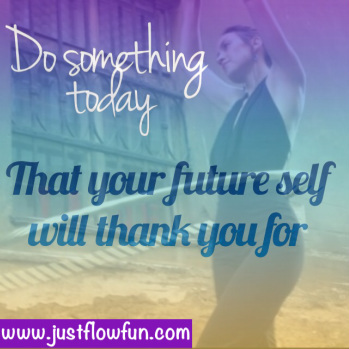 The more you connect and move inside of a hula hoop or perform any pleasing activity, the easier it is to enter in to your "Flow". You fully immerse yourself in a feeling of energized focus, full involvement, and enjoyment. In essence, you are so completely absorbed in the activity, you leave no room for anything but that very moment. Flow is completely focused motivation. It is single-minded immersion and represents the ultimate experience in harnessing the emotions in the service of performing and learning. The "FUN" doesn't need much explaining. You're stepping in to an adult sized child's toy! That right there is usually enough to put a smile on someone's face. If it's not, then the fun comes in by mastering a move, chatting with friends in class and giving yourself permission to let loose, laugh, play and move around when a good song comes on...and if that's STILL not enough, there's always 80's night. …the sky would be the limit with this flow art space. I want to hear from my community. This isn't just MY dream, it's my dream for YOU.